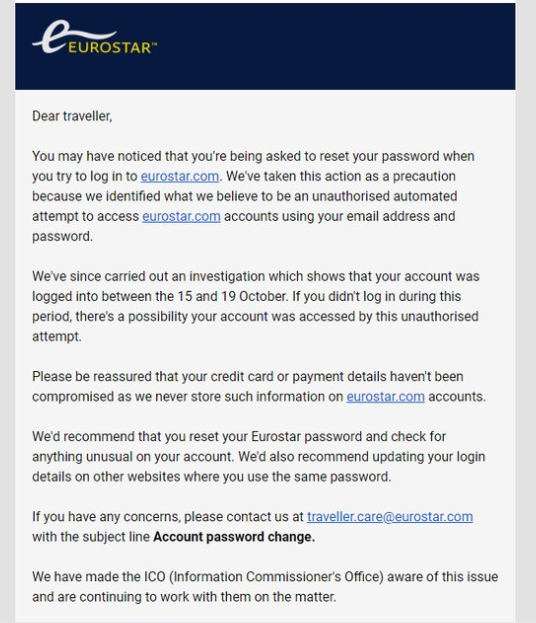 "This email was sent after we identified what we believe to be an unauthorised automated attempt to access customer accounts, so as a precaution, we asked all account holders to reset their password. We deliberately never store any payment details or bank card information, so there is no possibility of those being compromised." 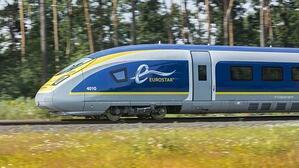 Eurostar has yet to confirm how many people have been affected by this data breach or whether any data has been taken. The company has reported the data breach to the Information Commissioner's Office. Be sure to subscribe to our Blog to stay informed on this and other important Cybersecurity information.